Originally posted by Mark Allen. Original comments will be merged with this thread. 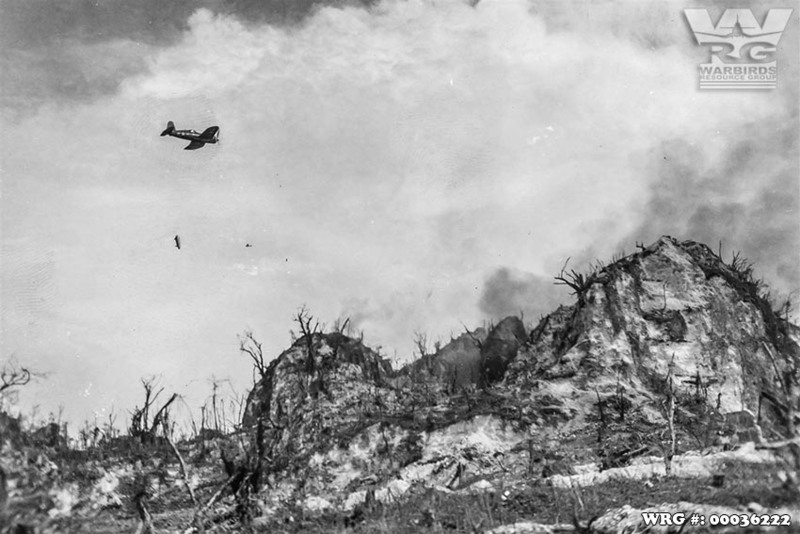 The photos below are likely VMF-114 Corsairs, September 1944. Also these two videos below are very nice additions to the thread. Great shots Mark! Thanks for posting! Notice the dive brakes deployed on the Corsair in the second photo. The relationship between the tanks and the planes that dropped them surprises me. The tanks are fully rotated and almost underneath the presumably relatively slow moving planes. Am I reading the angles wrong or is there another explanation? I don’t believe there were any fins on them as they had no need to aerodynamically land nose first. They simply burst open upon impact. A great photo resource below. If you watch napalm videos, the tanks separate and then act unpredictably. Sure, they fall, but with a tumbling motion that makes them behave like knuckleballs. I'm surprised fins were never added to make their behavior more predictable. 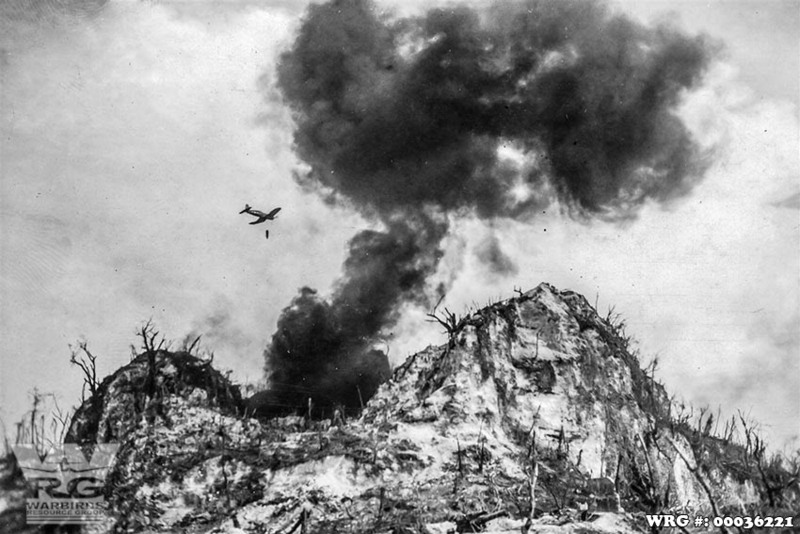 I seem to recall that the tumbling of napalm tanks was actually desired. The tumbling caused greater dispersion/splattering of the gel. Some later versions had fins, but most did not. 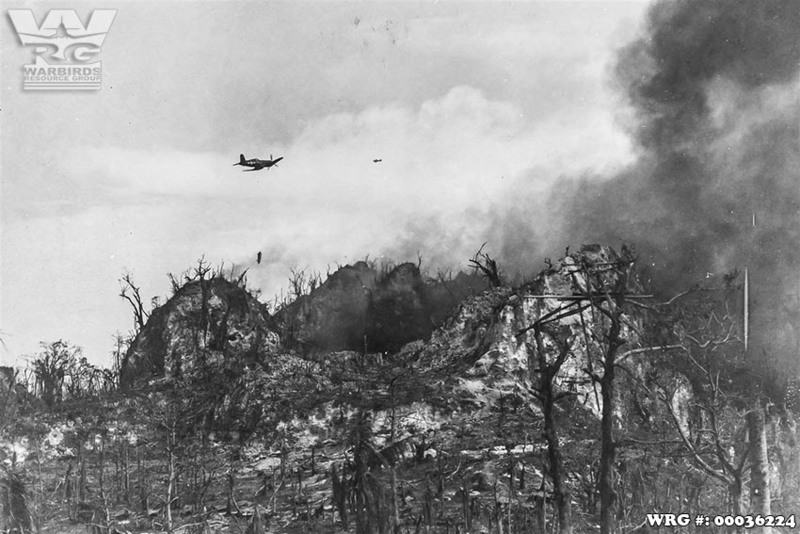 Another aspect is the drop altitude with finned napalm tanks. 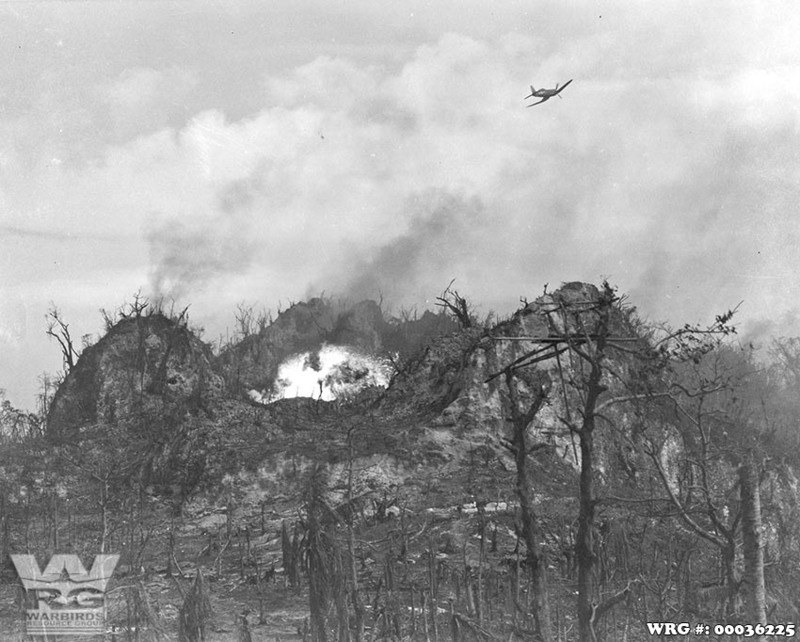 The A-26A crews at NKP preferred the finned variety over the HCM Trail in Laos. Unfinned required them to get down to about 300 ft for any hope of hitting a target. Fins gave directionality and allowed a dive angle to a higher altitude for the drop. This is better for working in the dark around mountains and jungle. Considering all the BB’s that could you hole your airplane at 300 ft, anything would be good that allowed a safer height. Different war, different conditions usually bring desirable improvements. 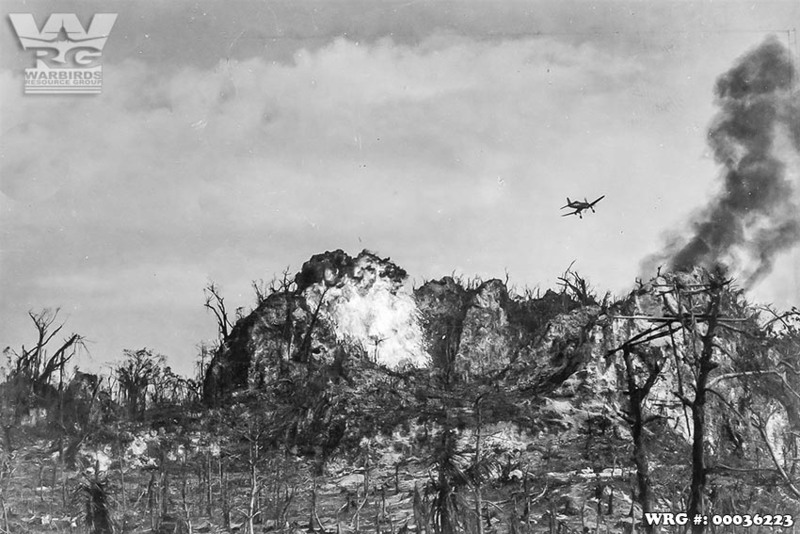 Thought they were just standard long range drop tanks repurposed for Napalm. They were, but with all of the other specialized gear we sent to war, it is interesting that they chose that application to use an off-the shelf adaptation.